The performance and usability benchmark tests run in our dedicated labs use realistic, repeatable test methods. Our goal is to replicate a user's experience as closely as possible, which enables us to inform buying decisions for consumers and development considerations for vendors. All tests are run according to industry best practices and are conducted independently, whether for use in business intelligence, by consumer magazines or when sponsored by vendors. Find out more about how we test, who we test for and how we work with your organisation. Dennis Technology Labs is an independent testing facility that evaluates personal and business technology, including hardware and software. 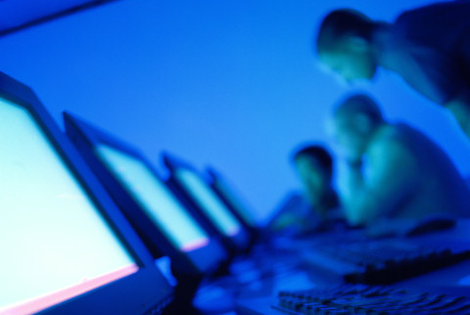 We specialise in security testing, using a world-class anti-malware testing framework. We work with businesses, technology vendors and magazines to provide accurate and realistic test results that are useful to consumers and vendors' internal teams. With years of experience and strong, trusted relationships with businesses and the public, Dennis Technology Labs is an ideal testing partner. 14/01/2016: Reports on enterprise, small business and home anti-malware software. 18/12/2015: Report on enterprise threat detection products. 07/10/2015: Comparison of home anti-malware protection and performance over one year. 10/10/2014: This test explores how far software updates protect Windows 7 systems against vulnerabilities exploited by web-based threats.